Those on the left who refuse to defend Lula’s right to run for president are failing not only to act as good revolutionary socialists, but even as consistent democrats. Several countries in Latin America are undergoing attempts to severely restrict the people’s sovereignty through bans or attempted bans on certain candidacies. The most emblematic case is that of Luiz Inácio Lula Da Silva (Lula) in Brazil, who had been proclaimed by the PT (Workers’ Party) as its presidential candidate. According to the latest IBOPE survey, Lula was leading the polls with the support of 37% of the electorate (compared to a total of 39% garnered by the rest of the candidates in the same survey). 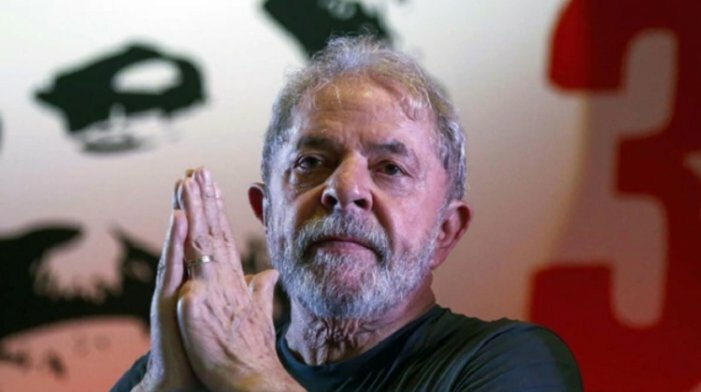 However, on August 31, Lula’s candidacy was barred by the Supreme Electoral Court in what is effectively a continuation of the institutional coup staged in 2016 against Dilma Rousseff. The prohibition of his participation in the elections was voted by six out of seven of the court’s judges, based on the “clean record” law, which the PT itself had voted for, and which Lula also supported in 2010. According to this law, persons convicted by a higher court, as in the case of the former Brazilian president, are barred from running for government positions. It is important to point out that this is the outcome of an illegal judicial process that took place as part of the institutional coup in 2016 against then President Dilma Rousseff, not based on charges of corruption, but for allegedly making changes in the allocation of budget items, which is a common practice of the executive power, not only in Brazil. Lula was accused of having received an apartment in Guarujá as a “gift,” although no evidence of this has been provided. Nevertheless, he was convicted and imprisoned. During the proceedings, the leader of the PT was thus barred from appearing in televised presidential debates or addressing his supporters. It is important to remember that Lula’s incarceration was determined by a margin of only one vote in the Supreme Court, amid threats from military leaders that they would take to the streets if the former unionist was released. Last Friday, a technical committee of 17 UN lawyers concluded that Lula should have the right to attend the debates by conference calls and to address his supporters. Although Brazilian law clearly states that such resolutions are binding on local courts, they have refused to comply with this basic democratic resolution. 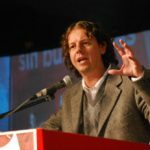 Regarding this situation, a columnist for the newspaper Folha de S. Paulo, sociologist and geographer Demétrio Magnoli, points out in a recent article titled “Sob a tutela dos juízes” (Under the tutelage of judges) that Lula’s case shows that the “Clean record” law should be repealed because it places judges and their decisions above popular sovereignty. He also points out that in Northern Ireland, Bobby Sands was elected to the British Parliament in 1981 while in prison, although he was unable to take office because he died a month after being elected as a result of a hunger strike that he carried out demanding the recognition as a political prisoner. After these events, British law prohibited anyone who has been sentenced to more than one year in prison from running for public office. We have to agree with Magnoli when he maintains that the law, voted “in the midst of the tragedy of the Irish conflict, was a setback for British democracy: an intrusion of the Judiciary in the sphere of the people’s representation.” Magnoli also points out that the “clean record” law “transfers the power of the people to the judges” and that its philosophical basis “is the concept that the electorate requires the protection of a stratum of scholars.” In this regard, he asks with irony if the Congress elected in Brazil in 2014, with the “clean record” law in effect and which is probably the most corrupt, elitist and conservative congress elected since the dictatorship, is better than the one elected in 2010. This reasoning has the merit of highlighting the contradiction between the exercise of popular sovereignty and the laws that limits this right by proposing that judges decide on who can and cannot run for office, concluding with a defense of the people’s autonomy. This is a significantly more democratic position than that of left groups, such as the PSTU (Unified Workers’ Socialist Party) and the CST (Workers’ Socialist Movement) in Brazil and Izquierda Socialista (Socialist Left) in Argentina, which demand prison for “Lula and everyone engaged in corruption” and refuse to defend his elementary right to run for office, thus legitimizing Sergio Moro’s pro-coup and anti-democratic judicial Bonapartism and the judicial party of Brazil. 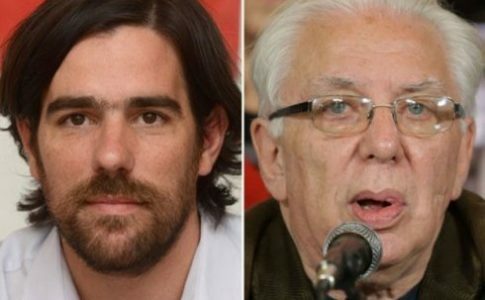 The majority of the PSOL (Socialism and Liberty Party), on the other hand, only offers a very partial defense of Lula’s right to run for office, as shown by the lack of a systematic campaign and the little relevance that this issue had in Candidate Guillherme Boulos’ interventions in the presidential debates. However, Magnoli’s defense of the principle of popular sovereignty is completely inconsequential, as he maintains that the PT is not entitled to protest, because the party voted for the law that is now being used against Lula, when the proceedings that led to his incarceration and the prohibition of his candidacy were completely illegal. It also falls behind the resolutions of the UN Commission (which should be binding under Brazilian law) according to which Lula’s rights as a presidential candidate should be respected. 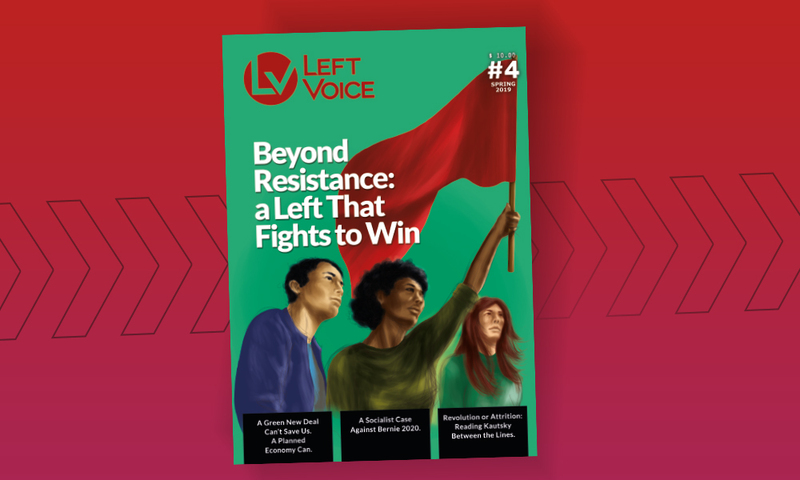 As revolutionary socialists, we believe that the supremacy of popular sovereignty must be defended unconditionally (as well as the repeal of any law restricting it), and we unreservedly defend Lula’s right to run for office. In bourgeois democracies, the principle of the “separation of powers” primarily plays the role of limiting the scope of popular sovereignty, while supposedly favoring a check and balance between them. As a result, those with a more direct popular mandate, the legislative representatives, are restricted to legislative activity. Their positions are not revocable and thanks to the various perks and salaries they receive, which are comparable to those of a company manager, they become part of a true caste of professional politicians. In constitutional systems such as that of the United States, Argentina or Brazil, the executive branch has powers that are practically monarchical and the ministers, who make the day-to-day government decisions, are not elected by the popular vote, but are appointed by the president. The judiciary is conceived as a power ‘against the majority’ and consists of a privileged caste of judges with lifetime appointments. Higher court judges in systems like those of Brazil are designated by negotiations between the predominant political forces, with no intervention by the popular vote in the designation of judges and prosecutors. While this check and balance was originally intended to oppose tyranny, such as that of an absolute monarchy, its actual historical function has been to severely limit the role of popular sovereignty in bourgeois democracies. This limitation is based on a defense of the legality of capitalist property, which exclusive to a small minority that derives its profit and wealth from the appropriation of unpaid labor, i.e. surplus value. Furthermore, the entire legal system is based on constitutions whose foundations sometimes date back two or three centuries (several decades at best) and which are used to sanctify the “constituted power” and to limit any “constituent power” of the working class. In conservative thought, constitutional provisions are understood as eternal truths that should govern the life of societies even when the historical circumstances (and the power balance to which they responded) have changed substantially since they were written. This position is opposed to the more advanced and democratic principles held by the most revolutionary representatives of the bourgeoisie. During the French Revolution, the Jacobins, for example, defended the right of every generation to make their own constitution. 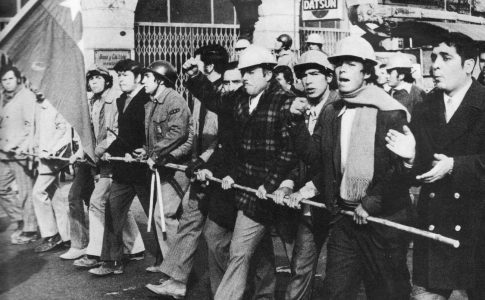 The workers’ movement has gone much further, not only in theory, but also in revolutionary practice. This matter was raised by Marx and classical Marxists. The Paris Commune of 1871, first, and then the workers’ councils (soviets), after the victory of the October Revolution of 1917, were based on a different principle than that of the separation of powers, according to which elected bodies had legislative and executive powers and the people’s courts were accountable to them. But this was not all. They established a general principle to ensure that political representation would not be carried out by a privileged bureaucracy and they replaced an armed power in defense of a privileged minority with the armed organization of the working people. Before the victory of the Stalinist Thermidor, that is, of the bureaucratic counter revolution, the Soviet Union used the experience of the Commune to take these principles further, according to the specific conditions of Soviet Russia (not coincidentally, Lenin wrote The State and the Revolution between February and October), where the proletariat was a minority in relation to the peasantry and the low level of economic development created great difficulties for the construction of socialism. These problems were aggravated by a bloody civil war launched by the internal and external counter revolutionary forces, thus limiting the full exercise of soviet democracy. The activities of all soviets were originally governed by the “Declaration of Rights of the Working and Exploited People” and the All-Russian Congress of Soviets was the highest sovereign body, with the power to abolish the division between positive law and constitutional principles. The only exception were the rights of nationalities oppressed for centuries by Great Russia. To prevent this oppression from continuing, they created the “Soviet of nationalities”, which had veto rights over all resolutions affecting them. It should be remembered that this was a Union of Soviet Socialist Republics. That is to say, the right to self-determination, including separation, was unconditional. The Constitution of 1924, after the civil war, established that amendments and changes to the basic principles of the constitution could only be made by the Extraordinary Congress of Soviets of the USSR. The right of separation from the USSR was proclaimed for the republics of the Union. Changes to their borders could only be made with their consent and a unified citizenship of the Union was established. This constitution clearly reflects the joint powers established in Soviet Russia, although many of its provisions remained unfulfilled with the advance of the bureaucratization process. In the period between congresses, the highest authority was the Central Executive Committee, formed by the Soviet of the Union, whose members were elected by the congress in proportion to the population of the republics, and the Soviet of Nationalities, elected with the representatives of the republics of the Union, republics and autonomous territories. The first part of the “Declaration of the Creation of the USSR” did not proclaim the existence of the Union but established its purpose, which was the development of the international socialist revolution. 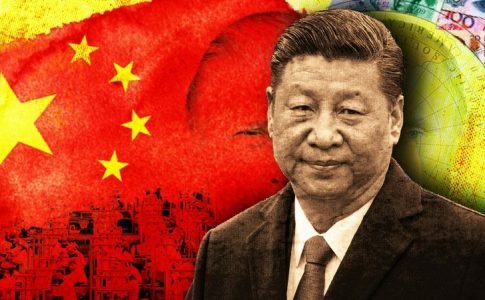 It maintained a clearly internationalist position despite the fact that the shift towards the defense of the reactionary utopia of socialism in one country had already begun. The Stalinist Constitution of 1936, established with the triumph of the bureaucratic Thermidor, would modify many of these principles, as analyzed by Trotsky in The Revolution Betrayed. Returning to the present, as indicated above, we support the unconditional right of the population to choose whomever they want for office. That is to say, we defend the supremacy of the principle of popular sovereignty against all restrictions imposed by the constituted power. As noted above, the power to elect leaders, though contained in a system of powers that control each other to prevent popular sovereignty and to better serve monopolies and big capital, is one of the scant remnants of the people’s right to choose in a bourgeois democratic republic. It is the height of capitalist tyranny for an oligarchy of judges proposed by an executive power in a remote past (since they survive different governments until they retire), and validated by an oligarchic Senate, to decide on the people to whom they will grant or deny civil and political rights. Lenin asserted that bourgeois democracy was the best cover for capital. 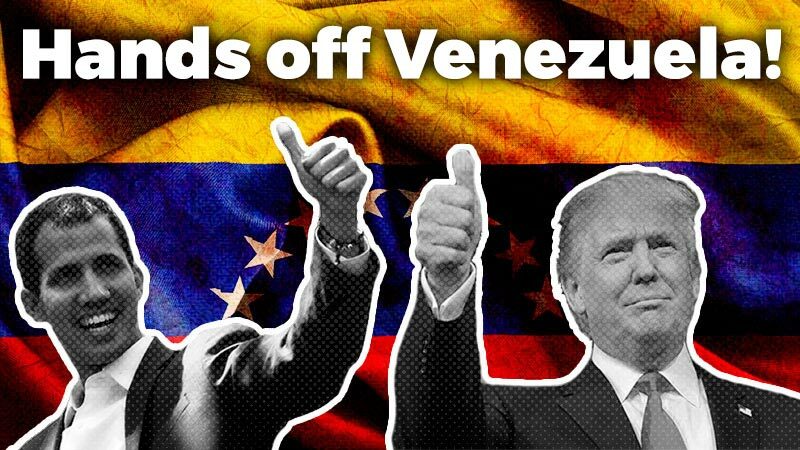 However, in crises such as those undergone by Brazil or Argentina, there is an opportunity to lift that cover (not only due to the economic failure but also the blatant actions of the American embassies). Starting with the unrestricted defense of Lula’s right to run for office, we as revolutionary socialists defend the scorched remains of popular sovereignty that remain in bourgeois republics. Our struggle is for a workers’ government that breaks with capitalism by ‘expropriating the expropriators,’ the only way to ensure that the capitalists pay for the crisis. 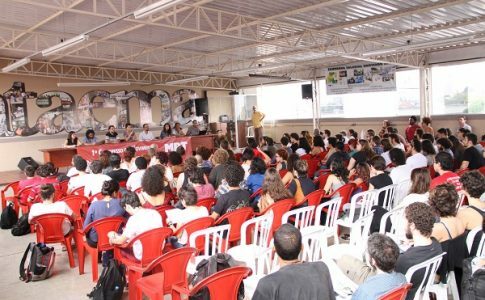 But since we are still a minority and the majority of working people trust the election process, we propose a measure that is still included in constitutions such as that of Brazil, which is the right to convene a Constituent Assembly, to debate and vote on an Emergency Program for the crisis. This program would include the non-payment of the public debt and the nationalization of the banking system, foreign trade and the strategic resources of the economy, to put a stop to the reduction of wages and the increase in poverty and unemployment; the expropriation of the main landowners; the abolition of the aristocratic Senate and the corrupt judicial caste and for the popular election of judges at all levels; the establishment of provisions ensuring that every government official receives the same wage as a teacher and that their terms are revocable; and the right to legal, safe and free abortion in addition to other demands of the women’s movement; among other fundamental points. If the working class does not organize and struggle to impose a Constituent Assembly to take these emergency measures immediately, we will continue to witness the obscene daily spectacle of corporate and political corruption, along with dramatic fee hikes, daily layoffs and the widespread impoverishment of the working people. We see this proposal as a way to try to politicize and mobilize the masses so that they can become aware of their power to change everything. Of course, even the most democratic constituent assemblies are impotent in the face of ‘factual’ (economic and military) powers. As a result, if a mass movement arises in support of this demand, workers’ councils and worker militias should be formed to defend its resolutions. That is to say, this democratic demand can ultimately play a transitional role in the creation of soviet institutions that lead to workers’ power. As Trotsky affirmed in 1934 in “A Program of Action for France” the more the masses become aware of their ‘constituent power,’ the clearer the road towards a Soviet workers’ democracy. This institution, the soviets, as governing bodies following the abolition of the private ownership of the means of production and exchange, are much more democratic than the most democratic bourgeois democracies. In bourgeois democracies, the working people are atomized (the “pulverized proletariat” as Trotsky referred to it in The Revolution Betrayed), voting one by one as individual citizens to choose who will oppress them for the next few years. Soviet democracy, on the other hand, is based on collective deliberation and the election of recallable representatives (at any time) in the workplace. It is based on these theoretical foundations and from this perspective that we defend the right of the Brazilian people to choose whomever they want (which at this moment and according to all the polls, is the anti-socialist, reformist Lula Da Silva). Those who, on the left, refuse to defend this principle fail not only to act as true revolutionary socialists, but even as consistent democrats.